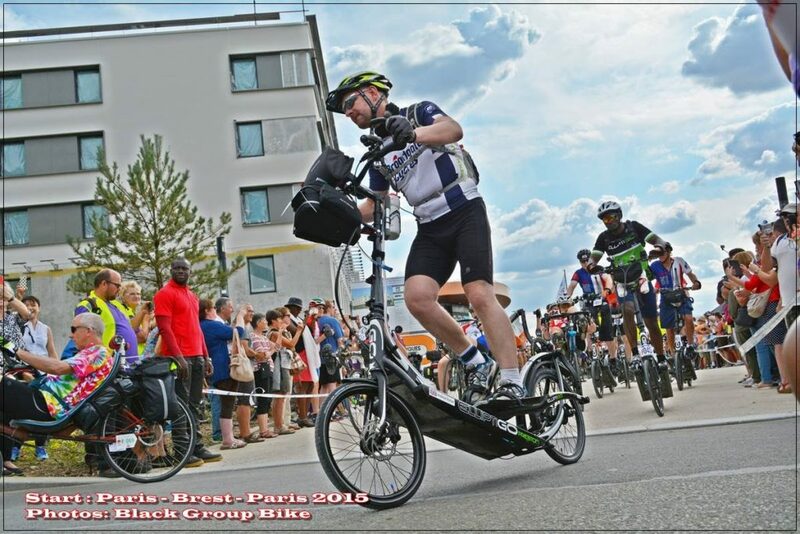 22 May 2017: An article by Idai Makaya (for the ElliptiGO Ultra-Endurance Team). I had automatically assumed with your smooth progress that nutrition was completely figured! In my experience nutrition is THE SINGLE BIGGEST area of expertise which needs to be developed in order to transition riders from short distances to ultra-distances. Nutrition is probably more important than even fitness – and I look at your pacing strategy (see this article and this one too for more details) and your nutritional strategy as the two main areas of focus when helping any rider to ‘climb’ through the various distances. A rider who is in great 20-mile shape and uses an hourly feeding nutritional strategy will have a better ride over 400-miles than a rider who has done huge miles and developed a massive endurance base but does not eat properly or regularly. Your observation about a full meal is a good one. The first thing I tell people planning on doing a very long ride is to eat the same (or similar) meals as they normally would eat on a busy day. So that’s usually 3 main meals, for most people. These are critical on a long ride. I’d say even if, like me, you don’t eat regularly on normal days, a solid 3-4 solid meals a day are critical during an actual endurance ride. The next really important thing to do is to have meaningful snacks at HOURLY intervals between those main meals – for every riding hour during the event. For clarity, this means that on ultra-distance rides a whole hour of riding should not pass without a significant intake of SOLID FOOD calories, in meaningful quantities (and by “meaningful quantities” I refer to the calorie equivalent of a Mars Bar). It’s not always easy to find a proper sit-down meal on a long ride – and that’s okay, because any kind of junk food (burgers, pizza, McDonalds – even stuff you might not normally eat, but is palatable for you, will work). Mostly aim to drink water, or a zero calorie electrolyte mix. 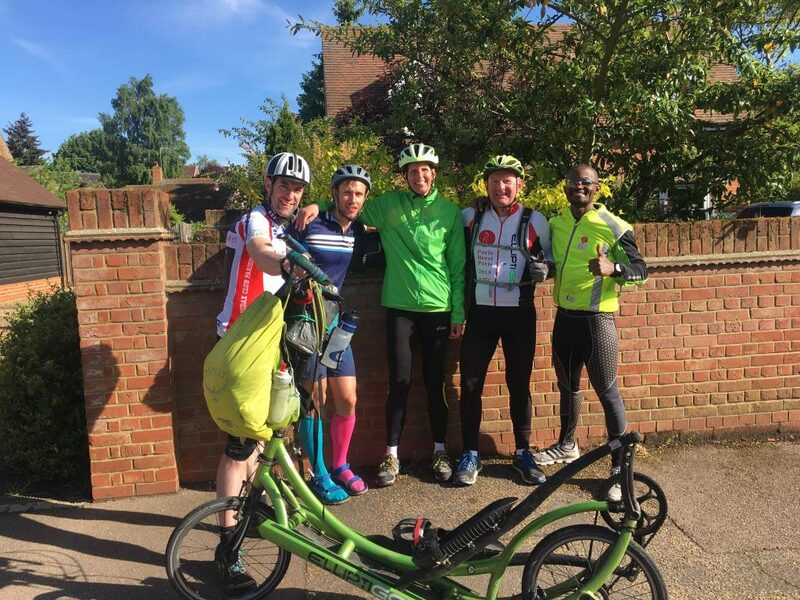 Sugary drinks stain and mess up the bike and on the traditional long-stride ElliptiGO they can cause it to become noisy and disruptive, which you won’t enjoy when riding for hours on end. Also, sugar in fluid form causes significant ‘spikes and troughs’ in your blood glucose profile (fluctuations), which negatively impact on your energy levels. This fluctuation is easily avoided by eating very regularly (almost all the time, to be blunt) – or having big meals at regular intervals (big meals slow the uptake of even pure sugar). This is called lowering the glycemic index. At meal stops on a long ride you can have an energy drink, or a coke, or a big coffee, etc – to pick you up and raise both your mood and energy level. I use food stops on very long endurance rides as opportunities to indulge in unhealthy foods which I prefer not to eat in routine, normal life. View them as treats because you can safely eat any high calorie food on a long ride (if your stomach can tolerate it). Eat significant snacks at hourly intervals (energy bars, Mars bars – or whatever easily portable snack you can tolerate). Pies and sausage rolls are also a good option, but a few sweeter and more sugary options are ideal to keep the energy level high. By ‘snack’ I refer to a portable packaged food which (can be eaten without stopping the bike). Break up those snacks with a main meal every 3-4 hours. I would suggest every 3 or 4 hours having a ‘proper meal’ – or some sort of junk food like Pizza or McDonald’s – something savoury, with a good mix of nutrients and a high calorie content (similar to the calorie content of your main meal of every normal day). If you don’t have time during a long ride – or can’t find a facility that makes fast full meals – a sandwich is one of the best fuels you can use on long rides. Sandwiches are hard to carry though – and even harder to eat while actually riding along – but they are probably the best supporting nutrition you can get on an endurance ride, so they are great to use at scheduled rest/meal breaks. If you had a way of eating a full savoury sandwich at 90-120 minute intervals during a long ride you could probably get through any riding distance comfortably – with no other supporting nutrition. Sandwiches have so many varieties and tastes that you can get through a 600km ride without ever eating the same type of sandwich twice. And almost every cafe and shop sells them, so they are easily accessible. Hopefully these insights are helpful?